Wilderness programs are designed for troubled teens who have not been able to make progress with traditional school or therapy programs. Wilderness programs are unique in that they take teens from their comfortable surroundings, filled with friends, electronic devices and frustrated adults and place them in a more primitive environment. At wilderness camps, troubled teens learn about their own strengths and weaknesses, how to set and achieve goals and build healthy relationships with adults and other teens. Wilderness programs for troubled youth can often mean the difference between a healthy and healthy teen and one that engages in dangerous and destructive activities. What Kinds of Teens Can Go To Wilderness Programs? Wilderness programs are short-term teen help organizations that help teens who need some behavior modification therapy and who are not thriving in their current lives. Common conditions for teens who end up at wilderness programs might include those with low self-esteem, depression, anxiety, aggression, defiance, and even some mental illness or emotional conditions. Many wilderness programs specialize in certain types of conditions, ensuring that teens get the proper help they need. How Do Wilderness Programs Help? Wilderness camps are centered around physical activity, survival and camping skills and high adventure activities like canoeing, rock climbing, mountain biking, hiking, fishing, boating and more. Participants are expected to do a set amount of chores and participate in the activities. There's also some quiet time for meditation, group therapy, individual therapy and more. Most teens help in setting up and taking down the camp, preparing food, cleaning up and tending to equipment. The way the wilderness programs help troubled teens is that they provide a safe, structured environment for them to get away from their negative influences and bad habits. Licensed and qualified professionals will work with the troubled teens to get them to start focusing on change and healing. Therapists talk to them about the root of their behavior issues and work on solutions. Some wilderness programs have an academic component but not always. All in all, wilderness camps include behavior modification activities with positive reinforcement. How Can Parents Find the Best Wilderness Programs? In no time parents will be able to narrow down their search and find the wilderness program that best suits their troubled teens. 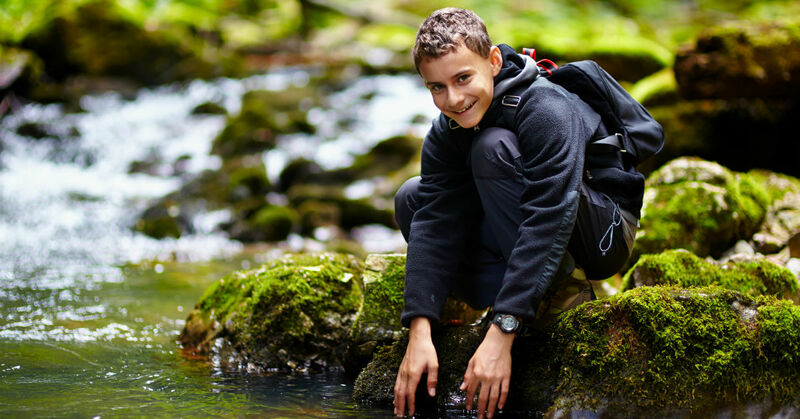 While a wilderness camp may not offer the long-term solutions that a place like a residential treatment center or a therapeutic boarding school might, it's an amazing first step for teens to take in the journey to health and healing.